The political changes in Egypt over the past two years have affected nongovernmental organizations differently: Some were forced to close shop, while others are struggling to keep afloat. The shift started in late 2011, when the so-called Arab Spring caught up in Egypt and a popular revolution forced Hosni Mubarak to step down from office. But the instability — and insecurity that came with it — has stalled the work of many aid groups, most of which had high hopes the change in the country’s leadership after three decades of iron-fisted rule by Mubarak would pave the way for a more vibrant civil society in Egypt. That hope, however, faded fast, with NGOs now facing stricter regulations in terms of how they can operate and receive funding from foreign donors. In 2011, CitiHope international packed up and left Egypt. This U.S.-based organization provides medicines and other health-related services in 10 focus countries, but the regime change has left it without any assurances whether medicine donations are not traded, bartered, sold or guaranteed duty-free. As a smaller NGO, Moore added, CitiHope had no choice but to focus its efforts elsewhere. “We are very open to returning to the region [but] in order to be free to do so, we would need full cooperation from the government and strong indicators that the government was stable or consistent in their rule,” he said. Indeed, civil society in Egypt has faced huge constraints in the past two years. Just months after Mubarak stepped down, authorities raided the offices of several international NGOs working on democracy promotion and human rights. And in 2012, even under a new regime, the crackdown continued, with 43 aid workers accused of fomenting unrest in the country using foreign funding. They were convicted and sentenced to prison terms last June. These increasing restrictions on civil society have led many organizations to shut down, or keep a very low profile in Egypt. An iNGO official, which spoke to Devex on condition of anonymity, shared that the organization has been “struggling to register in Egypt for a few years now.” The official declined to clarify why this is so, but it brings to the front increasing concerns on registration and foreign funding inside the country, brought about by a draft law that appears to be already in use despite a lack of formal government approval. Many in the aid community had hoped that a regime change would bring an end to the crackdown on civil society. But it continued, first under the transition military junta, then with Morsi and until now, again with the generals back in power. 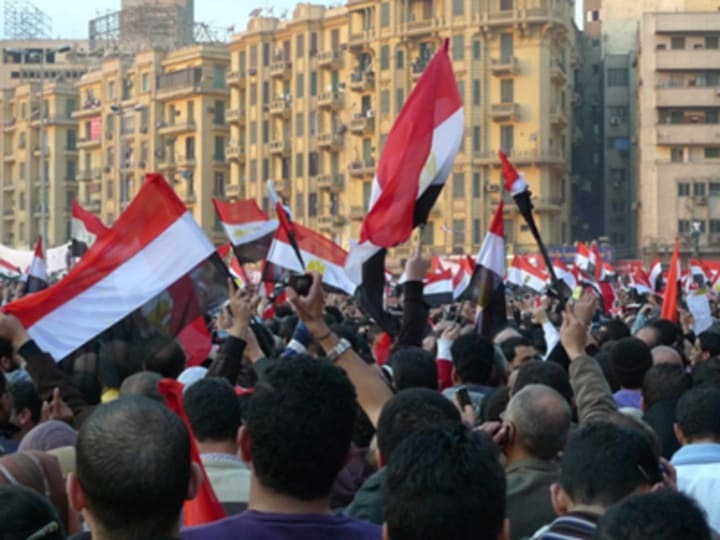 Civil society in Egypt, insiders say, is at an all-time low. The draft law would impose stricter regulations on foreign and local CSOs, particularly on registration, activities and foreign funding. It would provide for a special “coordinating committee” to have broad powers and virtually “unlimited authority” over NGO work, so it can deny a license if the organization’s activities are perceived to be not in line with the constitution drafted by the military junta, according to the International Center for Not-for-Profit Law. These procedures are often “complex and lengthy,” and has contributed to many NGOs’ decisions to cut on their activities, or shut down, according to the iNGO official who requested anonymity. Tadamon, a local network for and run by refugees, confirmed this. “Some [NGOs’] services have shut down. And if they are not properly registered, they are at risk or in danger of shutting down,” argued communications officer Amith Gupta. Insecurity also remains an issue, but NGO work, particularly at the local level, continues. The instability has cost Egypt a considerable chunk of its foreign aid after several European donors decided to suspend foreign assistance to the country following the military operation that deposed Morsi in June. Much of this though is budget support, but Germany and the European Union shared with Devex that funding for civil society in the country remains available. That’s precisely what Tadamon is hoping for. Gupta said the organization is now working hard to boost its presence — and increase its chances of securing funds — before the international community. But he admitted this is no easy task. And the organization needs to prove it is a suitable candidate, or else it too will be forced to cut down on its programs, such as providing protection to vulnerable groups, advocating against gender-based violence, and providing recreational activities to both refugees and host communities, which continue to grow with the Syrian refugee crisis. “We are scraping the barrel for funds in maintaining these operations,” noted Gupta.